If you love the original, our NEW White Musk® L’eau fragrance is your new vegan addiction. 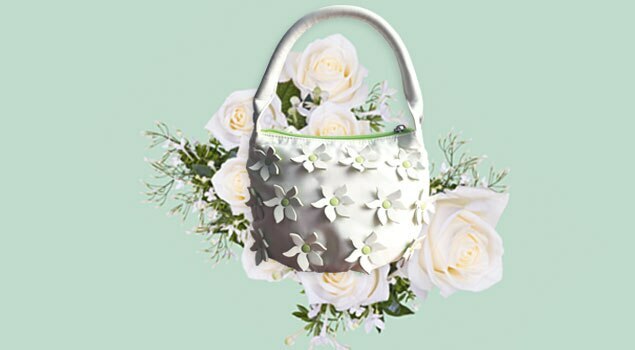 The White Musk® L’eau fragrance is sweetened with notes of pear for a deliciously fruity layer that fits effortlessly with the iconic floral blend lily of the valley, jasmine and rose essence. 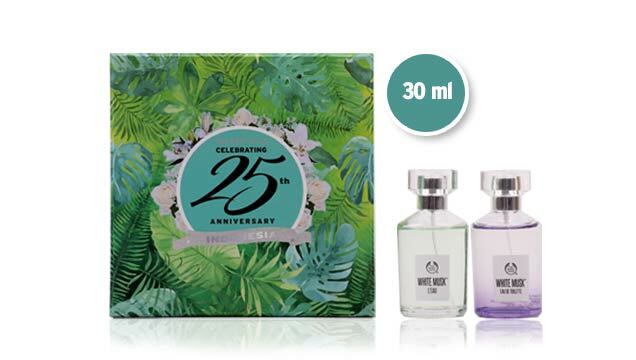 Nikmati wangi buah pir yang manis, segarnya aroma Lily of the Valley, Jasmine, dan Rose Essence, berpadu dengan wangi #CrueltyFree Musk yang pasti membuatmu jatuh cinta! 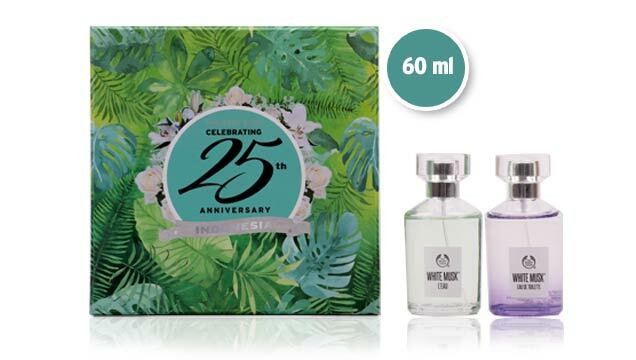 White Musk® L'EAU EDT 30ml + White Musk Classic EDT 30ml with Anniversary Box Rp 399.000 Regular price is Rp 518.000. Pastikan anda memasukan kedua produk tersebut kedalam keranjang belanja dan memasukan kode: WM30 pada saat checkout agar mendapatkan harga spesial.